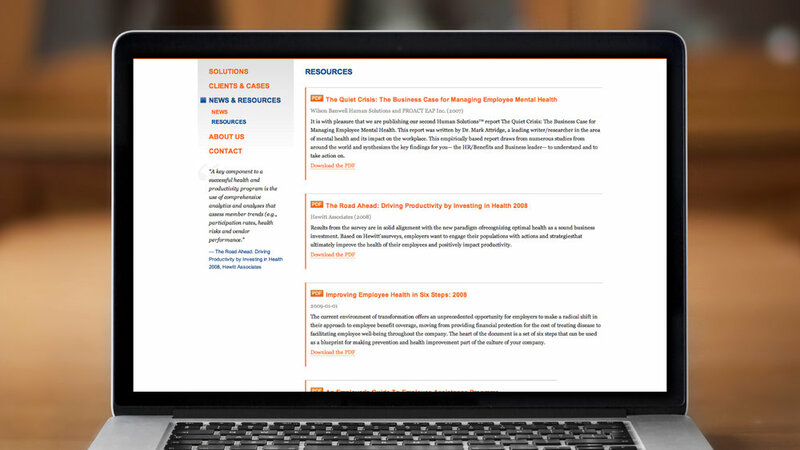 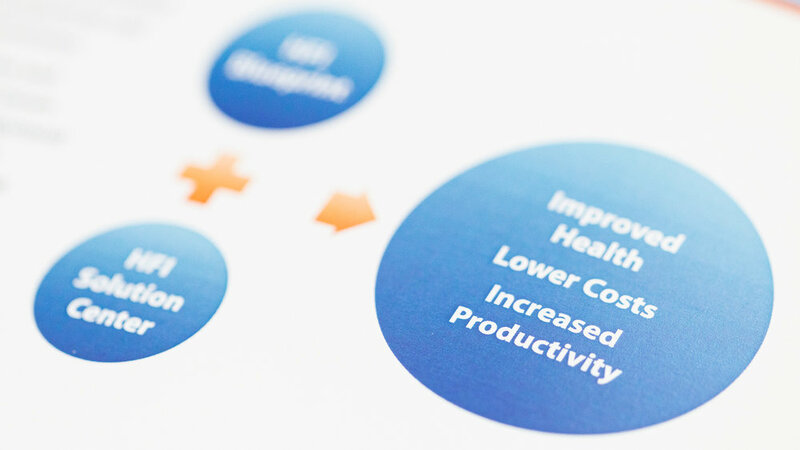 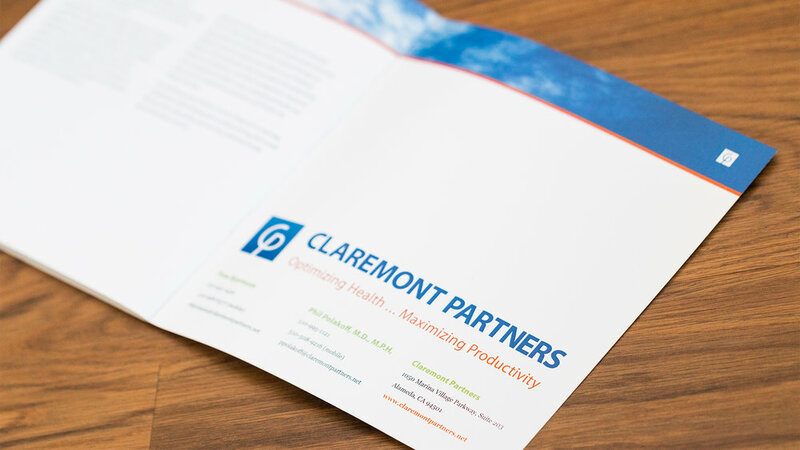 Claremont Partners is a company that develops creative health and productivity solutions for employers and health benefit trustees. 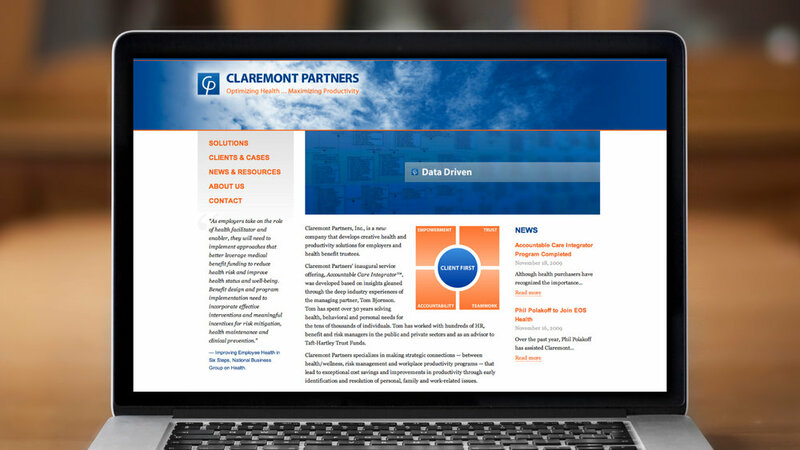 Given their standing as a newer company, they needed a clear image and web presence to properly position themselves in their industry. 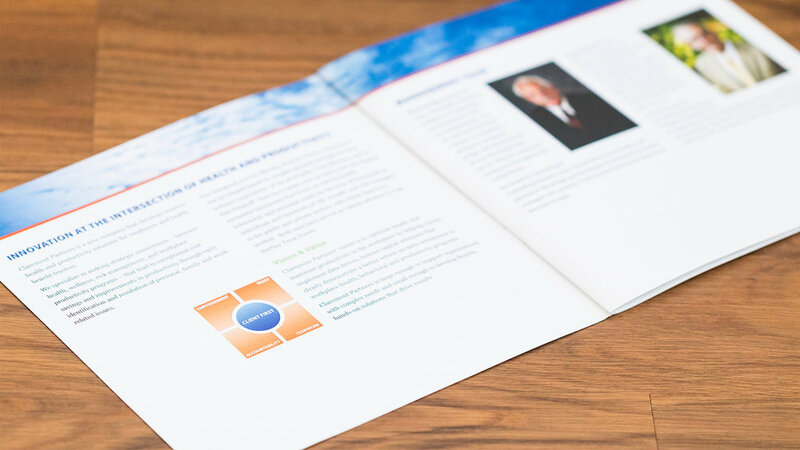 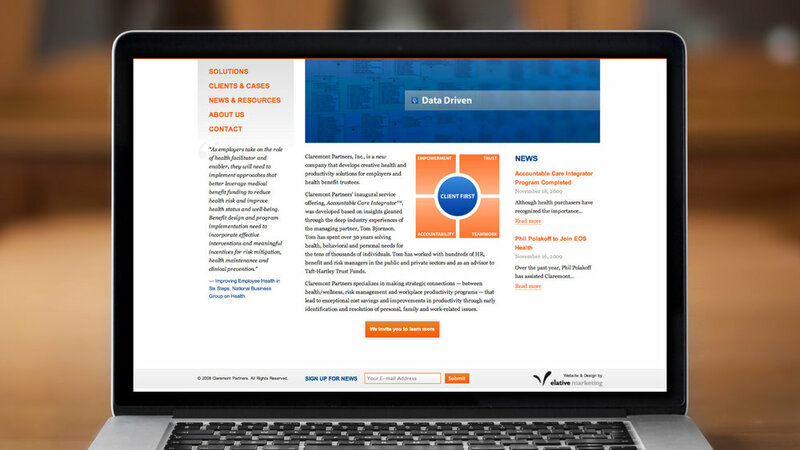 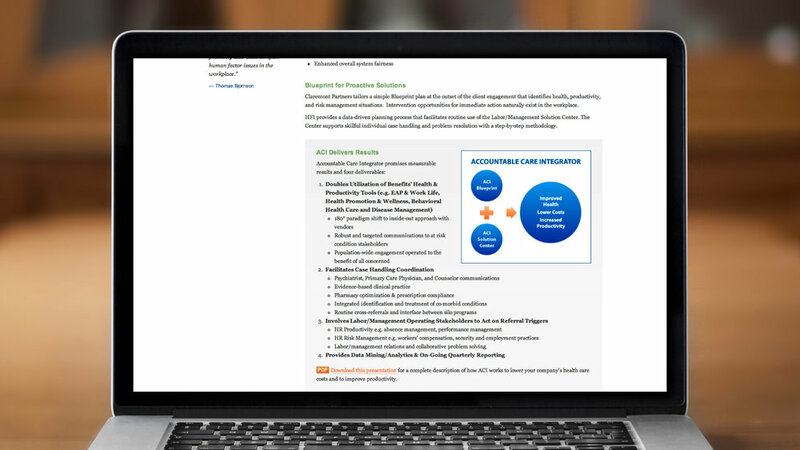 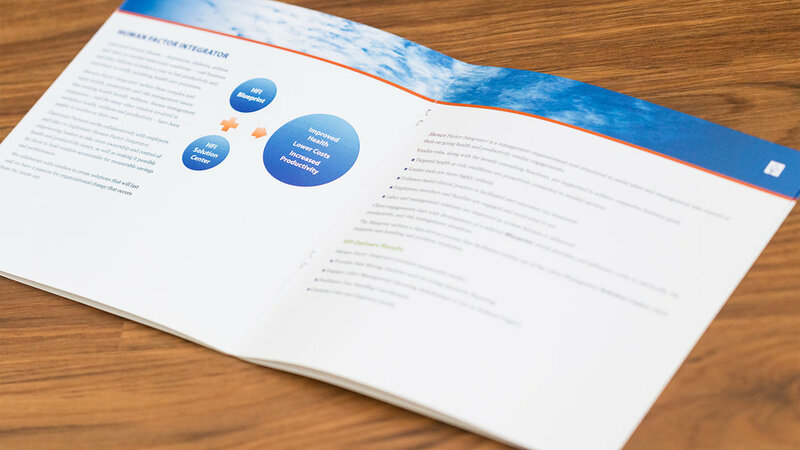 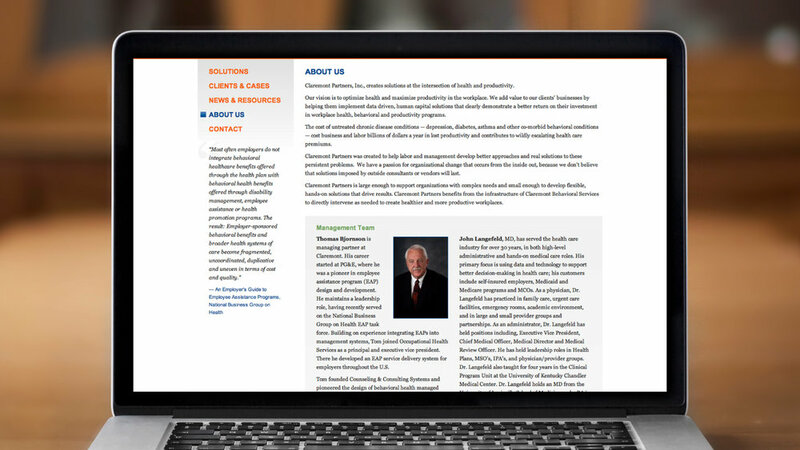 Elative delivered a logo, sophisticated print collateral, and a website that serves as a streamlined online brochure for the company’s offerings. 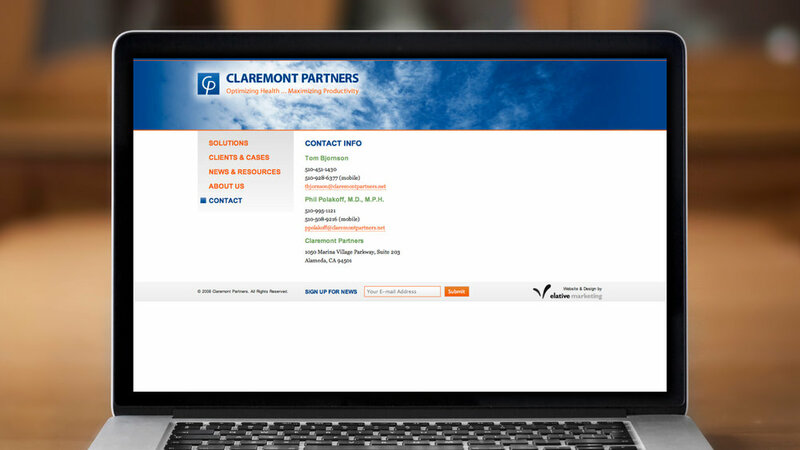 The site is powered by Elative’s custom modular CMS, and was developed using best practices in SEO findability. 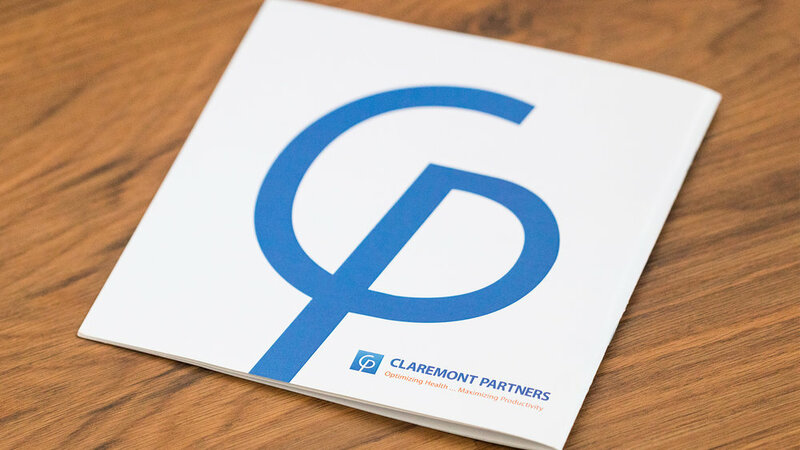 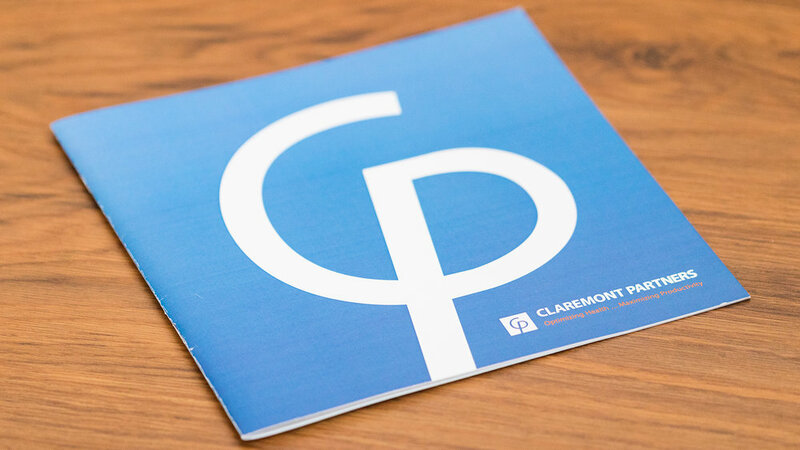 The result is a clean and consistent brand image for Claremont Partners.